InsideSquad Inc. is a Brooklyn, NY based general-contracting company providing residential and commercial construction services in New York City. 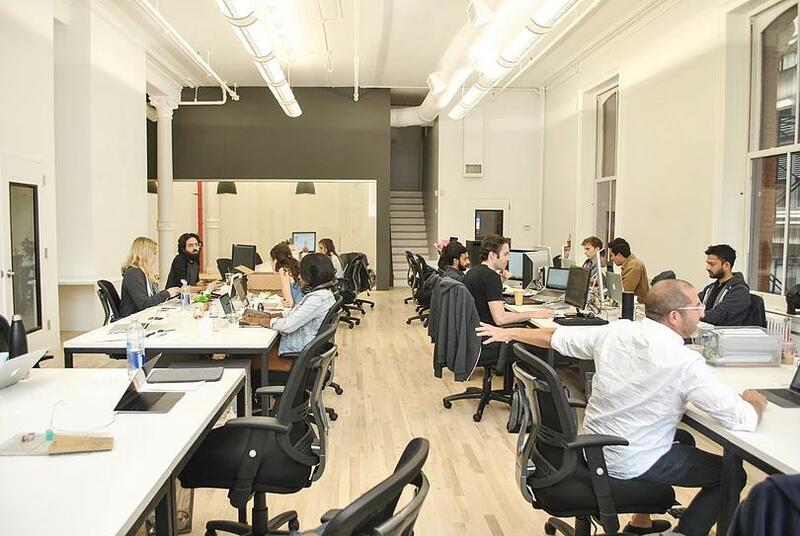 Founded in 2010, with the “get it done” attitude, InsideSquad has grown to become a one-stop shop for NYC’s tech start-up, retail, residential and developer clients. Putting together a new construction is a big task. Not only do you need to ensure that all of the plans are just right, but you also need to find a residential construction company in NYC that can provide top-quality service. Fortunately, if you’re interested in building a new construction, you’ve come to the right place- InsideSquad is the perfect partner for you! InsideSquad is the number one choice for in New York, whether you’re looking to build a brand new building or renovate an old one. We offer some of the best prices in NYC for the level of expertise that we bring to each project, and we can complete everything in record time. We know that when you’re paying for a new construction you’ll want to see your building brought to life as soon as possible – and at InsideSquad, we’re committed to giving you a speedy, expert service every time. Our high end residential contractors in NYC can handle virtually any type of new construction project, from commercial to general contractor retail to residential properties. Whether you’re looking to put together new premises for your business, or want to offer the people of NYC a brand new apartment block to live in; we’ve got you covered. We only work with the most experienced contractors in New York since we’re passionate about offering our clients the highest standards of construction. Each new project begins with an in-depth planning and design phase. We give our clients plenty of opportunities to provide their input, so that your new building perfectly matches your vision. 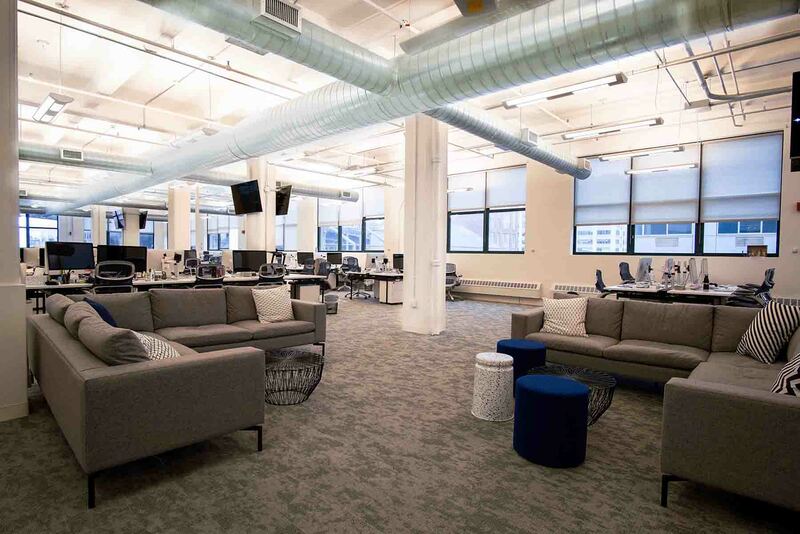 Space is often at a premium in NYC, so we make smart use of the space available to you so that everything fits in. Once you’ve approved of the final designs, then our contractors will get to work on bringing them to life. Using the best materials and experienced builders means that each construction project runs smoothly, and gets completed on time and within your budget. So, next time you have a new office construction project in mind, come to InsideSquad. We’ll give you a great quote for your new build, and you can rest assured that you’re getting the very best service around. With expert contractors and the right materials for the job, there’s nothing that we can’t do. If you’re serious about construction in NYC, then InsideSquad is the way to go. Just get in touch today to discuss your next project, and to find out more about what we have to offer! When it comes to construction, it’s not enough to just get the job done right. The materials in a construction matter just as much as the builders, particularly where sustainability is of concern. At InsideSquad, we’re fully committed to sustainable construction and leaving behind a greener planet for future generations. Particularly in NYC, there’s a need to cut down on carbon emissions, and help to combat the pollution which has overtaken our city. By literally starting from the ground up in building new construction NYC that are more environmentally friendly, we’re doing our bit to give future generations in NYC a cleaner, fresher place to call home. Sustainable construction isn’t all about the environment, though. From saving money by making the most effective use of materials, to creating buildings designed to save energy and thereby cut fuel bills, there’s so much more involved. InsideSquad’s builders carefully weigh up all the options to come up with constructions that are just as kind to your bank balance as they are to the planet. Sustainable construction is something which is important right from the start of a construction project. The plans need to be drawn up with a sustainable building in mind, and that commitment to the environment should be carried through until the final construction. That’s why we only used the most experienced, highly trained builders here at InsideSquad. We firmly believe in providing the very best sustainable construction service in NYC, while also giving you excellent value for money. Our work is built to last, and we’ll only sign off the project once we’re satisfied it meets our high standards. Our builders only use the most sustainable materials in our general constructions, to ensure that your new building will meet all necessary rules and regulations. What’s more, we also design our NYC projects with an eye for saving energy, whether that’s through smart insulation or better ventilation. That way, not only will you be helping out the environment by using less energy, but you’ll also cut down on your bills- a win-win situation. So, if you want a sustainable construction that’s built to the highest possible standards, give InsideSquad a call. As construction experts, we offer a huge range of different services, from new hotel construction that are more environmentally friendly, to retrofitting existing homes and offices to use less energy. Whatever you need, we can provide- so get in touch to discuss your next project today! Every large scale construction project should be a master plan construction. In essence, a master plan goes further than standard planning- instead, it lays out a highly detailed project of both the building’s design and the entire building process. At InsideSquad, we’re committed to always providing flawless master design planning. That way, you’re guaranteed the highest quality buildings, on time and on budget. What more could you ask for! Our master design planning service is truly second to none. As expert contractors, we understand just how important master plan construction is to keeping the project running smoothly. We take time over the design and planning stage because without it, there’s no direction to the overall construction project. By sticking to our plans, though, we can be certain that your next project will be completed on time- which makes it much easier to budget, too. No one likes to be faced with a nasty unexpected bill, and proper planning ensures that doesn’t happen to you. We also give our clients unprecedented input into the master design planning. Since you are the one paying for the project, we believe it’s important to let you have your say about the master plan construction process before moving on to the next phase. If you have any special requests for the plans, then we will always do our best to incorporate them into the final design. That way, you’re given a personalized building that’s sure to meet your own unique needs. Our master plan construction is only made possible thanks to the hard work of our expert contractors. They draw on years of experience to ensure that every one of our projects runs smoothly. Not only do they carry out master design planning, but they then take that design planning and bring it to life through superior building practices. So, if you’re serious about your next construction project, and are looking for a company that will provide you with top-notch master plans, make sure you come to InsideSquad. Our services are second to none, and you’re guaranteed the very best design planning and hospitality construction in NYC. Whatever you need, we will always do our best to bring your vision to life. Just get in touch with us to discuss your next project- we’ll be happy to help! A construction project is about more than just the actual building phase. In fact, there’s plenty of preconstruction preparation work that needs to be carried out before anything else can be done. Unfortunately, some companies try to cut corners when it comes to preparing for construction. In the end, though, that only ends up delaying the project further. This can end up costing you a fortune, so it’s vital you work with a company that takes care over the pre-building process. Luckily for you, you’ve come to the right place- InsideSquad is here to help! Preconstruction covers both the master plan construction and design of the final building, and the preparing for the construction itself. Both are equally important, since without proper plans, the construction process will lack the direction necessary to run smoothly. The plans are there to help the sustainable builders keep on track through the preconstruction period and all the way to the end of the project. On the other hand, if the site cleaning isn’t carried out properly during the pre-building process, then it could cause setbacks further down the line. Here at InsideSquad, we take preconstruction seriously. Preparing for construction is vital if the construction project is going to run smoothly and be completed on time, and that means a lot of preparation is required. From fully cleaning the construction site, to ensuring that the plans all match up with the site, our builders carry out a thorough job of preconstruction. That way, we are able to stay on schedule, and you don’t have to shell out any extra money due to delays. We know you’ll want your construction project completed as soon as possible- by taking care over preconstruction, we’ll make sure that happens. So, if you’re looking for reliable general contractors who are serious about preparing for construction, then come to InsideSquad. We ensure that the whole project runs smoothly from start to finish, by properly preparing for construction and using the most diligent approaches to preconstruction. That way, any delays and extra costs are avoided, and you can rest assured that your new building will be ready on time and on budget. Construction is serious business, so make sure you work with a company that takes things seriously- come to InsideSquad today to discuss your next project. Here in New York, we get visitors from all over the world. For that reason, the hospitality industry here is booming. If you’re looking to take advantage of that, then hospitality construction is just what you need. From building a brand new hotel to expanding your existing one, construction will help you to offer your guests the perfect place to rest their heads. If you’re looking for the best hospitality nyc construction service, then you’ve come to the right place. InsideSquad’s builders are construction experts, and will be able to create the perfect new hotel just for you. We tackle all different sizes of construction projects, from single properties to large hospitality facilities, so there’s nothing that we can’t provide. Together, we’re transforming the hospitality industry in NYC, and we’ll be delighted to work with you towards this goal, too. A new hotel is a big construction project, so it’s essential that you work with the very best. At InsideSquad, we only ever work with the most experienced contractors around, to ensure that the whole project runs smoothly. From drawing on industry contacts to get great deals on the best materials, to coming up with in-depth plans well in advance, our builders pull out all the stops to give the best service in NYC at an excellent price- a win-win situation. Our hospitality construction service goes further than just building new hotels, though. We’re also happy to help refurbish or refit your existing hotel, whether it’s the entire building or just a select few rooms. Our construction service is tailored to each client, so whatever you need, our builders can provide. We have already done plenty of hospitality construction work, so we understand perfectly the unique needs of this industry. Our builders work hard to provide you with a new hotel which goes above and beyond your expectations, and will soon have plenty of guests coming to stay with you. From the design and planning stage to the final construction, we take care of everything for you. So, whether you’re planning a brand new hotel, or want to give your existing one a facelift, come to InsideSquad. Our hospitality construction service is second to none, so you’re guaranteed an excellent experience every time you work with us. To find out more about what we have to offer, or to get a quote on your next project, just get in touch- we’re always happy to help! In a city like New York, there’s always construction going on. With so many people living here, NYC is always adapting to people’s needs, and there are plenty of general construction companies out there to cope with the demand. Not all of those companies are up to the job, though. If you’ve got a construction project in mind, then you’ll want to be sure that your chosen contractors have the skills and experience to get the job done just right. Luckily for you, InsideSquad offers just that. We only ever work with expert contractors, so that each construction project runs smoothly from start to finish. Our general construction service is second to none, so whatever type of project you have in mind, we are the perfect choice for you. At InsideSquad, we provide an unparalleled range of general construction services to everyone in NYC. Whether it’s retail premises for stores and restaurants, to office space or residential properties, our contracting services are second to none. Companies and individuals alike can get a great deal on building work, because we always aim to provide the best prices in NYC. An excellent price without compromising on quality- you’ll only get that with InsideSquad. Our general construction service starts out with an in-depth planning and design process. We work closely with each client to ensure that the end result of the project matches their initial vision, and we give you the final say on the designs. Preconstruction is about more than just planning, though, and we also take care over preparing the site for the contractors to get to work. By fully removing any potential obstacles, and ensuring the site is fit for purpose, we can avoid any delays and unnecessary expenses further down the line. Some companies try to cut corners at this point in the project, but that only ends up causing problems later on. InsideSquad, though, pull out all the stops to keep things moving forward smoothly. Once all of the preparation for construction is done, then we can get to work on the building itself. Our contractors use only the very best materials to ensure your new building is strong and secure. Thanks to their many years of experience, the contractors know how to get the job done properly in the least amount of time- so you don’t need to wait around to see your building brought to life. What’s more, thanks to our industry contacts, we can secure great deals on materials, saving you even more money! So, whatever you might need built, make sure you come to the experts- InsideSquad. We’ve got a vast amount of experience in all manner of general construction projects, from retail and commercial interiors to residential buildings, so you can rest assured that we will do a thorough job, every time. We handle all projects, large and small, so whatever you might need, we’ll be happy to help. Just get in touch today to discuss your needs, and we’ll provide you with an affordable quote that fits within your budget. We are always here to help! Not every construction project fits neatly within a certain category. Particularly in a city like NYC, space is at a premium, and you need a construction company that offers special construction services to ensure all your needs are met. Whether you need something totally unique, like an aquarium or vault, to a specialized room in your building such as cold storage rooms, InsideSquad is always here to help! Over the years, InsideSquad has provided special construction services to a huge range of clients. Things move fast in New York, and we always stay at the forefront of the latest trends in sustainable construction. From small-scale projects to brand new buildings, we’re proud to offer an unparalleled selection of special construction services. We handle both commercial and residential projects, so whatever you might need, we are always able to help. Just how are we able to do that? It’s all thanks to the skill and expertise of our contractors. We only work with the very best, so that whatever project you might have in mind, we can get the job done for you. Thanks to plenty of insider contacts, we can also source specialized equipment that other companies won’t be able to offer. All of this makes our special construction services second to none- no other contractors can do what we can! So next time you need special construction services, make sure you come to InsideSquad. We are the best choice in NYC when it comes to general contracting, new constructions, renovations, and much, much more. With experienced contractors and specialized equipment, we’ve always got you covered, whatever you might need. Just get in touch to let us know what you are looking for, and we’ll pull out all the stops to bring your vision to life! In construction jargon, “residential build-outs” are living spaces that are left to the tenant to finish off. While things like windows and doors will already be fitted, it’s the final owner’s job to take care of the rest of the apartment or house. Residential build-outs are becoming more and more popular in NYC, as landlords and tenants alike search for ways to make the construction process a little cheaper, and save themselves some money. Residential build-outs can be completed much quicker than a standard apartment block because less work needs to be done. As for homeowners, residential build-outs have their own unique benefits, too. They allow people to put their stamp on a home, and have it crafted around their own individual needs and tastes. Whether you want a fresh, modern feel in your home, or prefer classic chic, you are able to put together your dream home. Since all the big construction work has already been done, it’s relatively simple to finish things off- and it means you’ll wind up paying less for your new home. Here at InsideSquad, we’re experts in residential build-outs construction, ready for tenants to start work on. As mentioned above, this type of construction is becoming increasingly popular in NYC, especially since residential space is at a premium. They allow more people to purchase their own home by making them more affordable, which is surely something to be proud of. Our expert NYC contractors work fast, and draw on years of experience to do a great job every time. We use high-quality materials and equipment, to provide buildings that will stand the test of time. Thanks to diligent planning and preparation, we always complete our projects on time and on budget. That makes us the reliable, affordable choice when it comes to residential build-outs, so get in touch today to find our what we can do for you. Has your business moved into a commercial space, but you want to put your own stamp on it? Then look no further than InsideSquad’s commercial interior build-outs service. We specialize in offering each client a highly personalized service, which is just what you need when it comes to your office design. 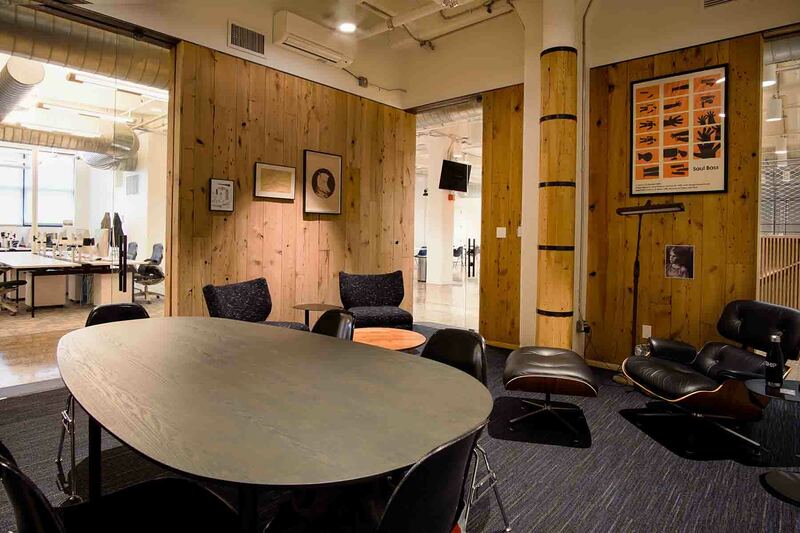 Whether you want to really wow your customers with an impressive design, or simply create a workspace that’s built to make your job as comfortable as possible, at InsideSquad, we’ve got you covered. In layman’s terms, a “commercial interior build-out” is a building that’s leased out to businesses, but only comes with the bare essentials- usually little more than walls and a door. They allow you to lease the space cheap, but to make it fit for purpose, some more work needs to be done. That’s where InsideSquad comes in- as construction experts, we’ll work closely with you to design and plan your build-out, before getting to work on turning that initial design into a reality. At InsideSquad, we’re there for you every step of the way. Each of our commercial building interior starts with an in-depth design and planning process. We work closely with our clients during this planning period, to ensure that the final commercial interior build-outs perfectly match your vision. Once you’ve signed off on the planning, we will then get to work on bringing the design to life. We only work with the most experienced and highly trained builders, because we believe that you deserve the very best. So, if you’re a business looking for the perfect commercial interior build-outs, then you’ve come to the right place. 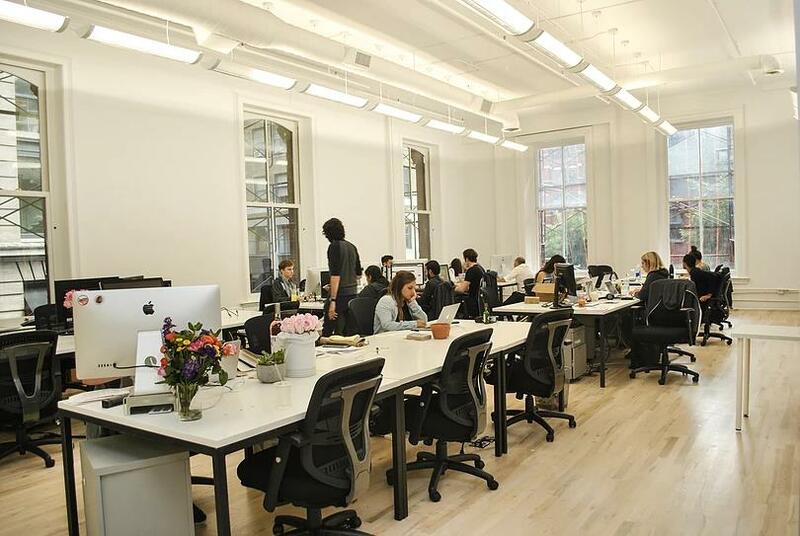 InsideSquad are the most reliable and experienced contractors in NYC, and we’ll work hard to create a space that lives up to your vision for your company. Get in touch today to discuss your next project- we’re always happy to help! Looking for the perfect commercial interiors? InsideSquad are here to help! As a specialist construction company, we work on all manner of buildings, including offices, to help them look their best. Our specialized interior pre-build service is perfect for leasers looking to make their offices more appealing to tenants, and can also aid businesses in transforming their office space into a more pleasant place to work. There’s virtually nothing that we can’t do! When it comes to commercial interiors, it’s important to give your staff enough space. Not only do they need to be able to do their job without bumping into each other, but the building should also be as open and airy as possible. That’s because studies have shown that workers are much more able to focus when they have plenty of space, and don’t feel all cramped in. A commercial interior that’s designed in just the right way won’t just make your office look nicer- it can also really ramp up productivity, too. At InsideSquad, we’re experts at coming up with stellar commercial interiors. Whatever the size of the office or building, we create interiors that feel fresh and modern, giving staff a more positive place to work. We understand your needs, and as you can see from browsing the rest of our site, we’ve worked with plenty of companies to provide the perfect commercial interiors. Whether you own a commercial building and you want to make it more appealing to tenants, or if you’re a business owner whose premises are in need of a facelift, come to InsideSquad today. We’ll help to totally transform your building into a more conductive workplace, and give you somewhere that will really wow clients during business meetings. Just get in touch with us today to find out more about what we can do for you, or to get a quote on your next project. We’re always happy to help! In the world of retail, it’s vital that you make a strong impression on potential customers. While marketing obviously has a big part to play, that means nothing without one vital ingredient- the ideal building. You need your retail building to perfectly match your business’s identity, and the best way to do that is through dedicated retail construction. Retail construction can be tricky business, though. It’s easier said than done to craft a building around your business, since so much needs to be taken care of. From design and master planning services, to project management and finding the right contractors, there’s a lot to keep track of. Luckily for you, the perfect contractor company for retail construction is right at your fingertips- InsideSquad! Here at InsideSquad, we’re fully equipped to handle any and all retail construction projects. Whether it’s a stunning store that’s just perfect for tempting customers in off the street, to a restaurant that provides a relaxing place to grab a bite to eat, we can come up with anything. Best of all, we work closely with all our clients to ensure that the final building perfectly matches your vision for your business. We won’t rest until you’re completely satisfied! Our retail contractor service starts with an in-depth planning stage, where you’ll be given plenty of opportunities to provide your ideas for the building. We believe that every retail unit should perfectly represent the company within it, so we let each client have the final say on the designs before the project moves forwards. Another great thing about our retail construction service is the price. Price pre construction. Since we work hard to keep our overheads low by using connections within the construction industry, we’re able to pass those savings on to our clients. Our expert contractors are also able to work faster than those with less experience, so you don’t have to waste any money on a project that lasts longer than necessary. If you want your retail building looking its best, then the choice is clear- come to InsideSquad. Our contractors are the best in the business, and we’ll provide you with a quote that won’t break the bank. Just get in touch today to find out more about what we can do for you, and to get a quote for your next project. We’re always here to help! Address: 2542 West 13th St. Brooklyn New York, 11223.